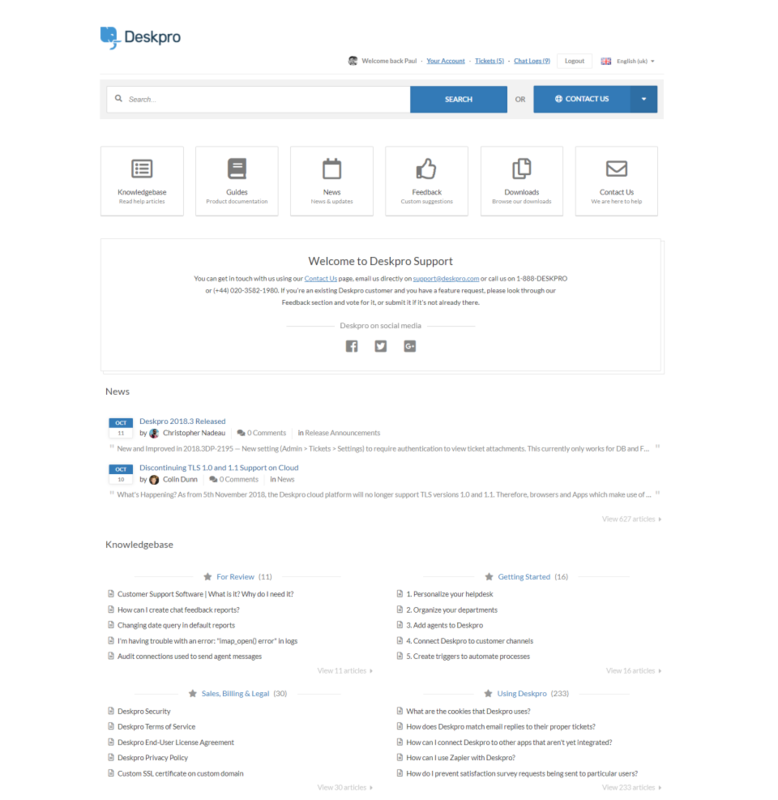 Deskpro is the helpdesk platform for 21st century organizations, offering a modern, real-time web interface, flexible configuration and easy but powerful automation. 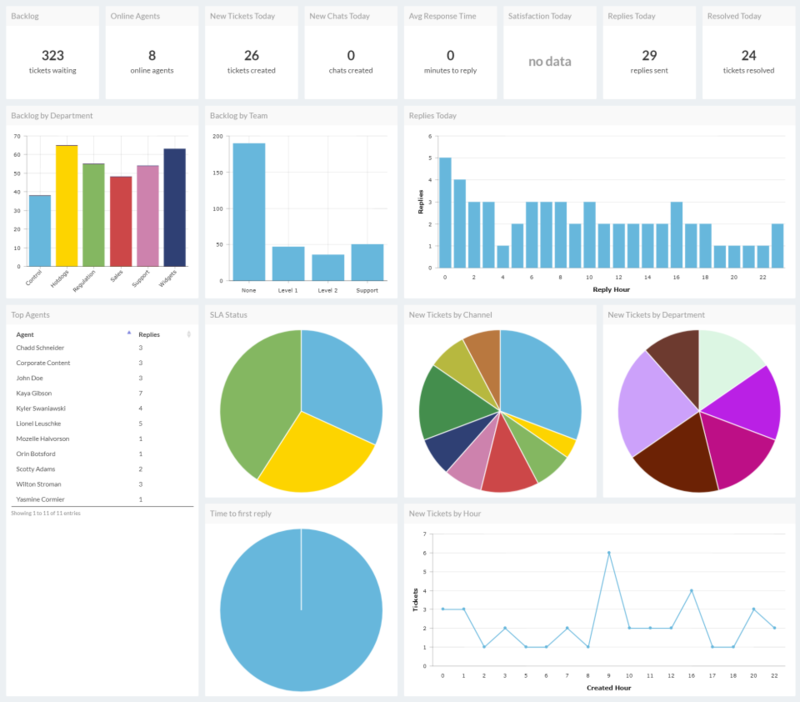 Includes: user portal with Knowledgebase, news posting, file hosting and customer feedback; live chat that you can add to your website; integration with services you already use: Salesforce, Highrise, JIRA, Active Directory, LDAP, OneLogin, Okta and many more. Full REST API and app development framework. Seriously The Best, and I Evaluated Just About all of Them! Cons: Speaking of custom fields Deskpro Lets you mass update your custom fields. This is also just not available in any of the systems we demo'd. Their customer support is amazing. We are based out of the US and NEVER have any issues getting help from them or their team. The software is simple to setup, easy to manage, powerful and really really flexible! We used Zendesk, LiveHelpNow, TrackIT, FreshDesk, Happy Fox, Boss, Team Support, Desk.com, Cayzu, Jira, Samanage and seriously none of them were even close to what DeskPro has to offer and not to mention they all were just about double the price per agent! 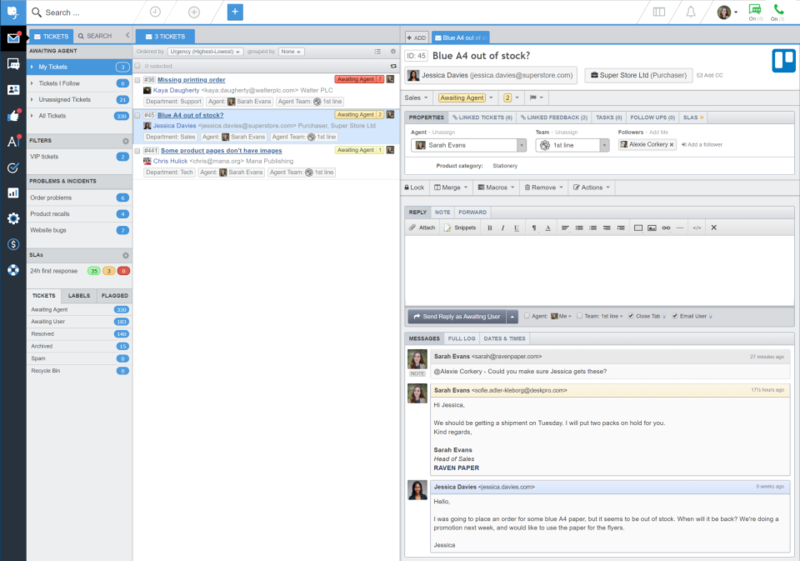 If you are even thinking about DeskPro; give it the 30-second trial signup. We have been with them Since December 2013. Pros: The support from the team at Deskpro has been really good. Always kind and patient (unlike some other SaaS support). Nice that they have phone, email and live chat support, nothing beats being able to chat to someone over the phone. Also, good that they have both Android and iOS apps, as our team is on both, so it allows flexibility on the go. Cons: There are so many features, which is a good thing, but we don't use them all. Feel like we could make more of the product, but happy with what we do use. Took a bit of time to learn the software, but after a few days, was up to speed and now is easy to use. Overall: We have been using Deskpro for about 8 months now. We previously had one inbox for all of our support, and one inbox for all of our sales emails. With lots of team members working on it, there was a lot of "treading on toes." 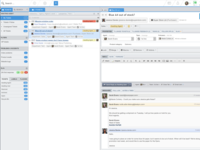 We tried a few different helpdesk softwares, but settled on Deskpro because of the sheer number of features (plus their customer service was really friendly and not pushy like the others). Although we don't use all the features the ones that we do use have really helped. The ticketing system has reduced our response time and also allowed each member of the team to know exactly what is going on with a customer rather than having to ask around before doing anything, reduced faff time, which is exactly what we wanted it for. All in all, great piece of software and really happy with the support. Pros: I've used OnPremis and now Cloud version and both of them were very easy to set up. The interface-s (both agent's and admin's) are quite intuitive, I didn't even know that there were manuals for them, I just started using them. Cons: They have some "hidden" costs which were very unpleasant. For example, the cost of removing their logo from your public support center pages, the cost of transferring from OnPremis to Cloud. 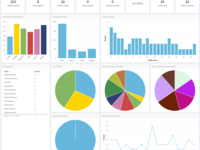 Overall: The software is great, we utilize a lot of its features (both basic ones like ticket, knowledgebase, feedback, chat and more advance ones like REST API, app, hook). Their support is good, they have a nice response time in any technical question or issue that we had. But I was very disappointed at some parts of their business model (the "hidden" costs). However, I will say that they take their customer complains rather seriously which is why we're with them even today. Pros: The software is very intuitive and easy to get to grips with. 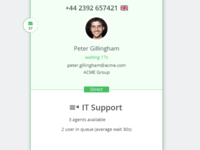 The automated processes, such as ticket prioritisation and sending out custom email templates, has made us much more efficient on the Support desk. The reports are extremely useful for collating KPI data and keeping track of the day to day tasks. The reports are configurable using the DPQL, providing a useful and powerful tool. Cons: A previous update had disabled the ability to export reports, and the new report builder module had rendered some of the old reports un-usable when they were migrated to the new report builder. We had to manually re-create some of the reports. Overall: The software has enabled our Support team to work much more efficiently, and make use of the powerful report builder function. 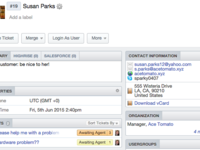 We can spend more time focusing on customer service, with DeskPro taking care of the admin / automated tasks. We can now monitor customer satisfaction for the first time, using the feedback rating system when we close a Ticket. Pros: We really liked the ability to customise the way our customers interact with us. The tailoring of certain aspects of our DeskPro presense was infinitely more flexible than a lot of ticketing systems on the market that we tested. DeskPro has a real business to business focus. Cons: The setup took a little longer than expected, however this turned into a pro long term as adding new customers is now straight forward thanks to the efforts in department structure up front. Overall: We had a need to offer differing helpdesk views for our different customers. DeskPro allowed for that variation and once we established the structure it has been pretty simple to use, from both a day-to-day point of view and an admin point of view. The user interface is simple to use and our agents and users appreciate the levels of uptime offered by DeskPro. The support is fantastic, personalised to us and responsive. 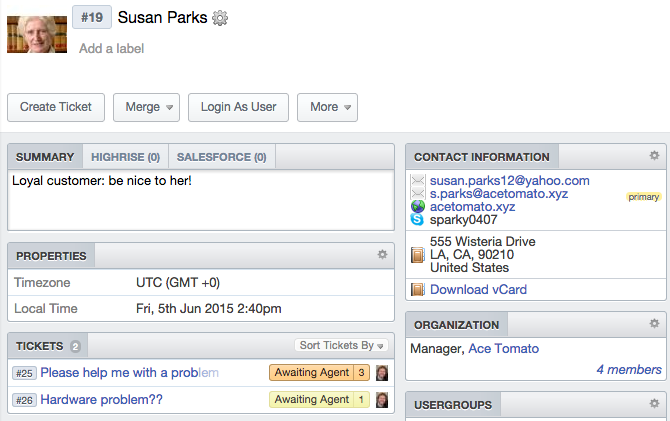 Pros: The customerstickets are easily sorted with the functionality of Deskpro. On the other end show the dashboards a very insightfull overview of the statistics. Cons: When you try to make a new ticket and you press a button on the keyboard too fast it gives you other options such as a new article entry and such. It's just a thing that happends every once in a while. Nothing too annoying. Overall: The customerservice is superb, within a few days you have an answer with which you can make the changes wanted. We're very happy with the software and we already recommended it to another firm. Pros: Customer service. I can't recall a time where the support folks haven't got back to us in respectable amount of time. They always offer great support. Cons: While this would probably be our own fault, sometimes the power of this solution gets a little overwhelming. We need to start utilizing the functionality of the tool better. Overall: We've used Deskpro for years and have zero complaints. The tool is effective, the people are awesome, and for our small company, it's the perfect solution. Effortlessly manages our internal communication throughout our organization. Pros: Ease of use. So many options to choose from in which all help streamline our support and communication. Cons: No cons just wishes. I wish DeskPro would enhance statuses so we could create custom ones that would only be triggered once a task has been completed. Overall: We have been using DeskPro for almost 7 years. It has changed how we communicate internally as an organization. We look forward to a brighter future with DeskPro. Overall: Its one of the Best customer support software I have ever seen. I am working in a public cloud company which is largest in Middleeast. Even our customers like this software very much. Pros: I like that it can be as customized as you'd like. We branded it ours and are continuously making changes to a lot of the features. Cons: The best thing about this is also the worst thing about it. Its very robust, overwhelming even at times. They do have guides that can get you through some things, but a demo video that covers its various features would have been helpful. I find myself talking to support often. Overall: Overall its been great, its answered a lot of our issues in the IT department, and with great customer support its been even easier. Comments: We were previously using really old software to help with support and a makeshift CRM. Decided to change to something better and went with deskpro. We use it everyday and it hasn't crashed on us (unlike the last software we used) so that is a real improvement. 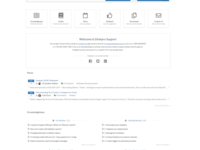 We have been using the Deskpro.com helpdesk for just over 2 months, it is a great piece of software, although I think it would be better for larger teams. 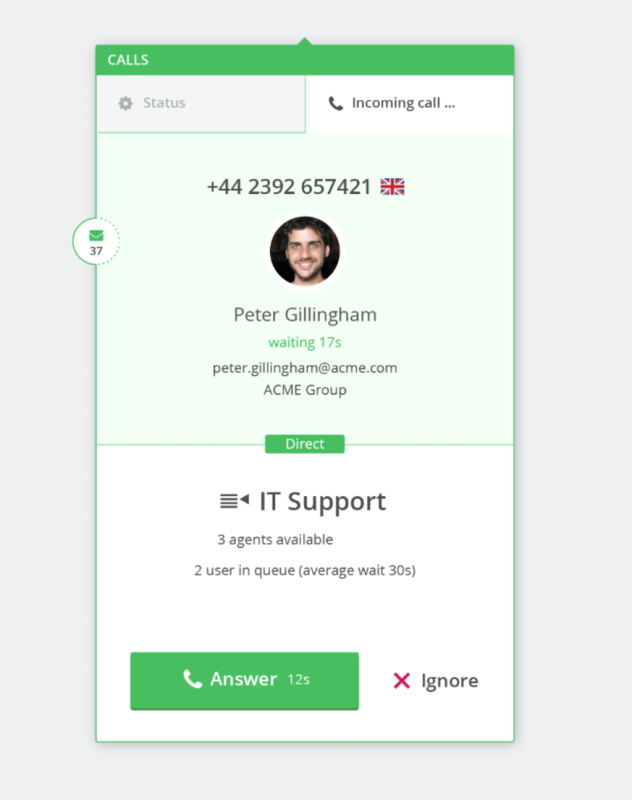 Pros: The live chat and knowledge base have been incredible at driving more enquiries. Initially we thought that the knowledge base would deter people from getting in touch, but alongside the live chat the enquiries are more targetted and know what questions they want to ask, which always helps. Cons: Think it is more suited to larger teams. Would be nice if the interface was a bit prettier. Recommendations to other buyers: Worthwhile booking a demo. Was really helpful to go through all of the elements and actually speak to someone about it and ask questions. Cons: It is not an expensive tool, but it would be nicer if price per agent could be little lower. Pros: Fully customizable and dynamic. An excellent tool for remote customer support. Cons: More satisfying mobile app support (such as integration with Firebase for PUSH notifications). Pros: I QA deskpro every release for my company and when I do find an issue Deskpro ALWAYS fixes it quickly and that is what I love most about the software is the people who develop it. They have strong developers who make solid software. Cons: I will say that Deskpro needs a 2FA or multi-factor solution. Cons: For what we asked of it (ticketing and knowledge base), I cannot find many cons compared to the competition and the price! Upgrades are pretty seamless as well as they have auto update checking like Windows. Easy to configure and use once you know what your processes are. Cons: So far none except for a few bugs that I am certain will be fixed with the amount of feedback I have given. Pros: It's more cost efficient than it's counterparts, so if you're just getting started it's a good option, or if it's just a few team members that'll be using the product with no plans for expansion in the foreseeable future. I can't say I love anything about the software when it comes to day-to-day use though. Cons: Day-to-day ticket management is easy enough to understand but inefficient, which impacts overall productivity for all teams who use the product. Product imitations mean stats pulled are not always as reliable as they should be. Overall: It was fine for the first few months when volumes weren't massive, but its limitations have severely impacted productivity as volumes have increased. Pros: Ease of use, lots of configuration options, very fast compared to other ticket logging systems. Cons: Not much. Had to learn Drupal for the reports, but other than that it is fine. Overall: Fantastic. Very happy with the software and the excellent support I have always received whenever I ask a question in the live chat. Pros: DeskPro is a very flexible and easy to use ticketing system environment. The integration with our AD was a breeze and customer support was phenomenal. Cons: There were few bugs that support easily resolved at first. Overall: I'm very happy with the product and recommend it to every business. Pros: can use snippets that can help you if you have some texts to use every time. and we can install it on our server. Pros: The amount of features it has built in and the ease of use for the users. Cons: Some of the advanced features require knowledge that would outside the skillset of an average admin.